I went wine tasting last month in Gilroy, CA nicknamed the “Garlic Capital of the World” and tried a red garlic wine. It was very unique and they had a cooking wine version of it. I’ve never seen any garlic cooking wines being sold in my local grocery stores, so I had to buy it and experiment with it! 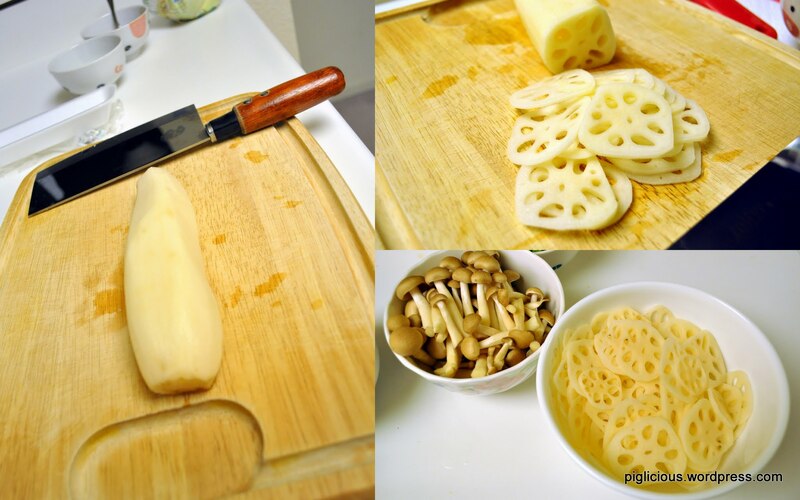 I brainstormed a couple things that I could make with it and mushrooms were the first thing that came to mind. Place the pan on the stove and turn the temperature to high. 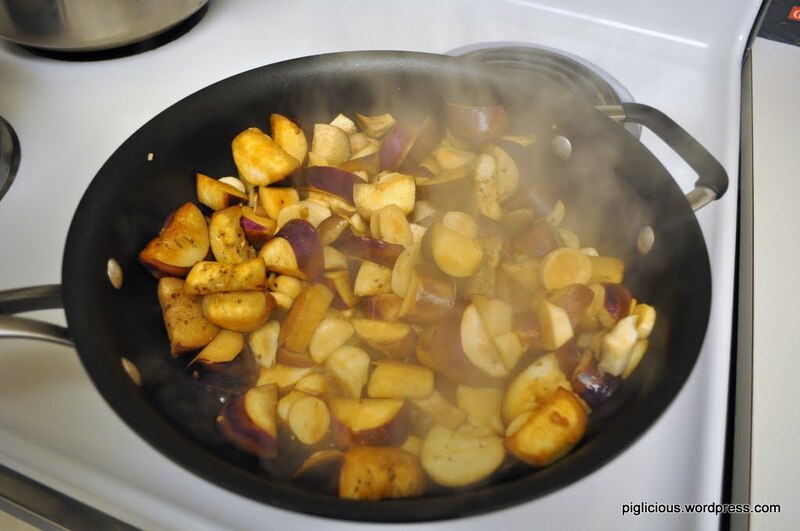 When the pan is warm, place 1/2 tablespoon of oil in. 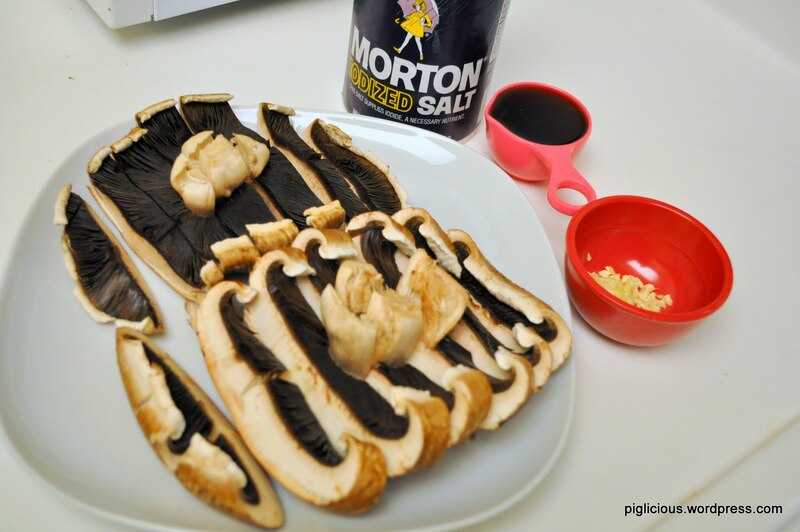 When the oil is hot, add a few dashes of salt in and add the mushrooms. Stir for about 30 secs. Add about half of the wine in and it should sizzle in the pan. Quickly stir it around. Turn the temperature down to medium high. Add the rest of the wine in. 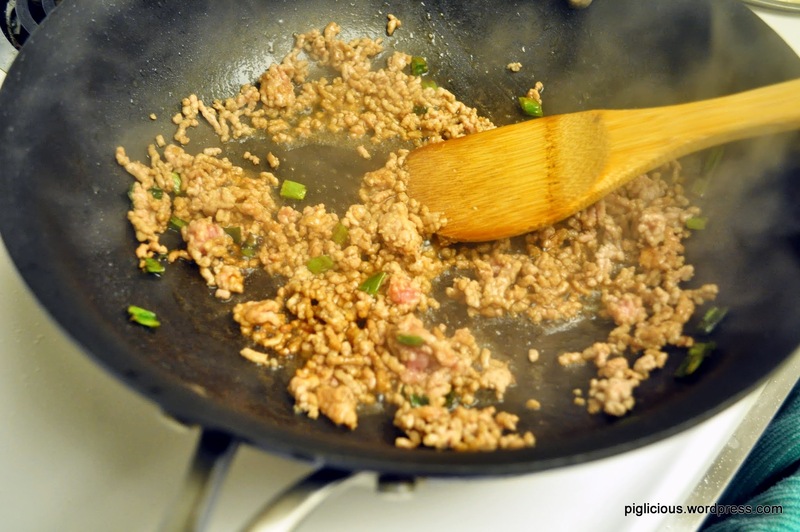 (If there is still a lot of sizzling or the pan is becoming really dry, turn the temperature down to medium.) Let it cook and slowly stir for 2-3 mins. 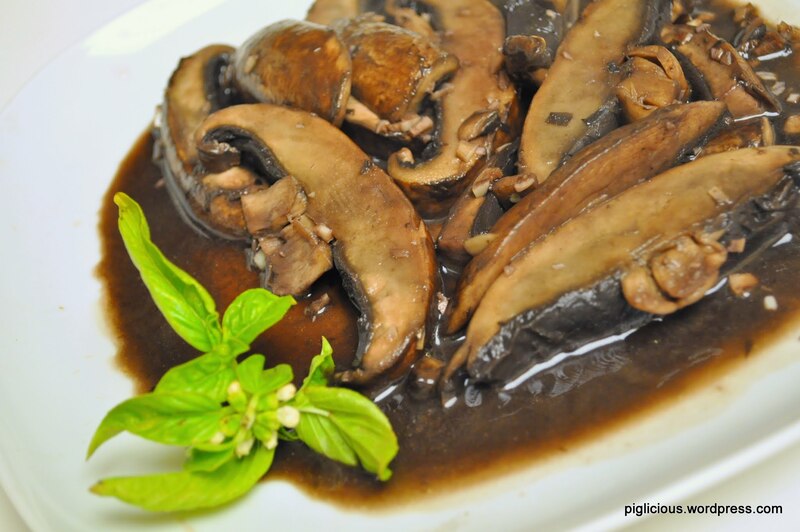 The mushrooms should start looking slightly slimy on the surface. Add the garlic in and stir. Add more salt to taste, if needed. 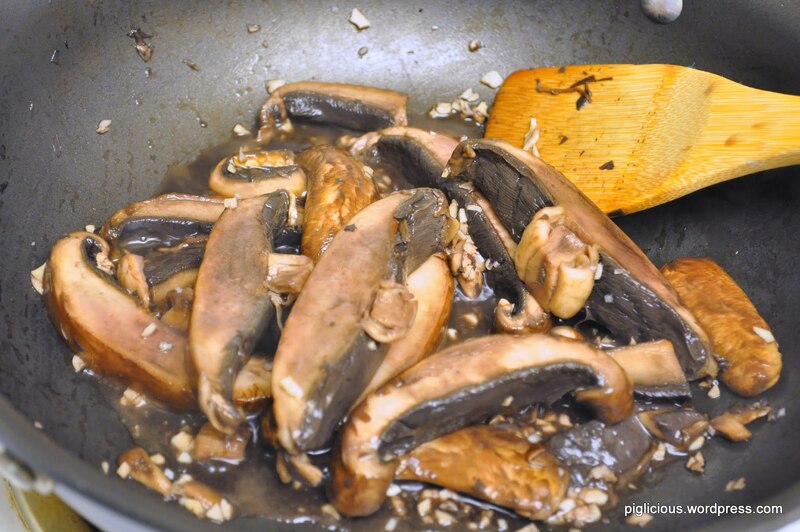 Continue to cook the mushrooms for another 1-2 mins, or until they become more slimy looking. Set the temperature to high. Add the oil once the pan is warm. When the oil is hotter, place the garlic in. 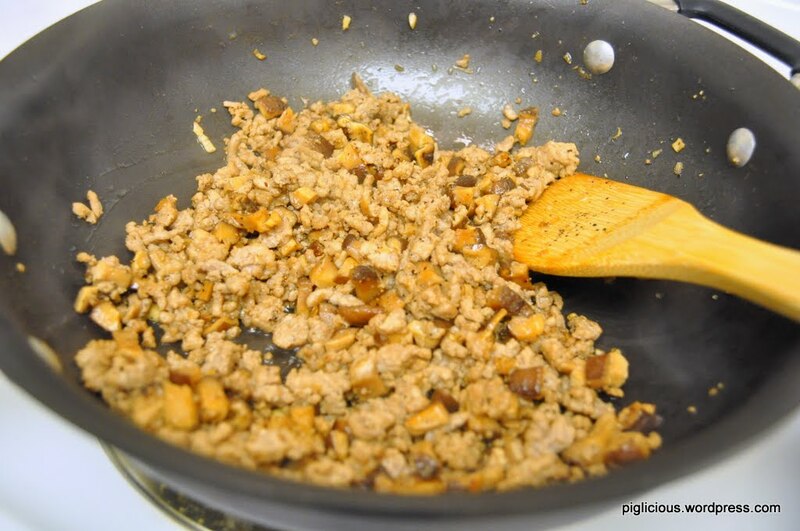 Let the garlic sizzle a little and place the ground pork on one side of the pan and place the shiitake on the other. 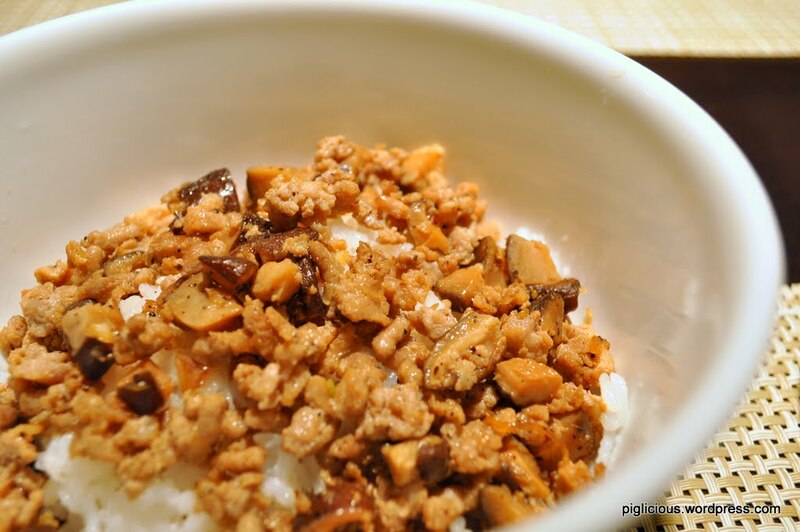 Quickly divide and separate the pork into smaller pieces while also stirring the shiitake. When the pork is partially cooked (half cooked, half raw). 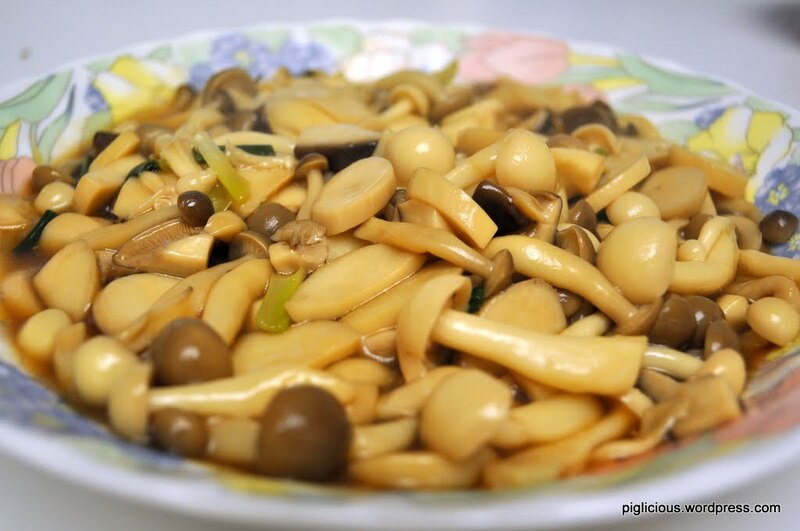 Mix with shiitake. 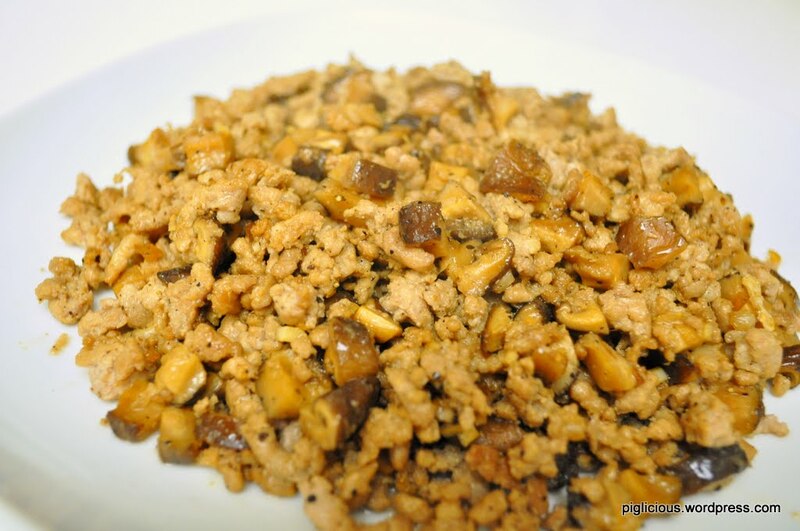 Pour in the soy sauce, stir, and continue separating the pork. Add the shallots. Stir. 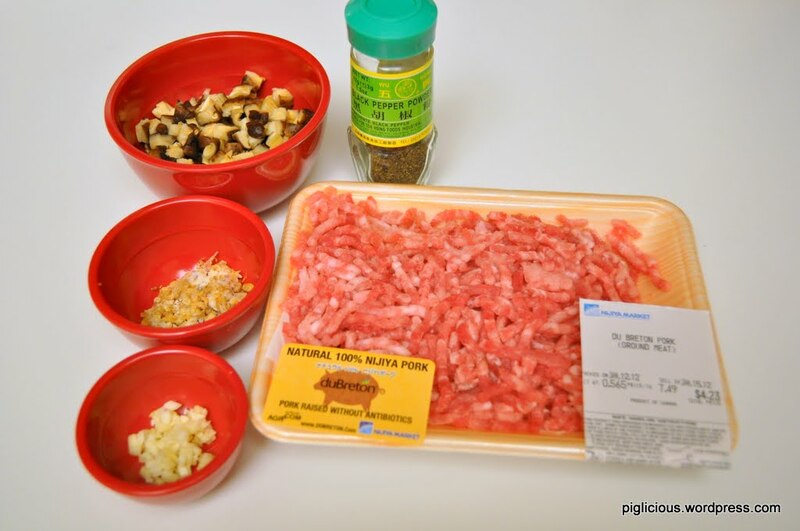 Add black pepper to taste. Continue stirring for 2-3 minutes. Super quick and easy. 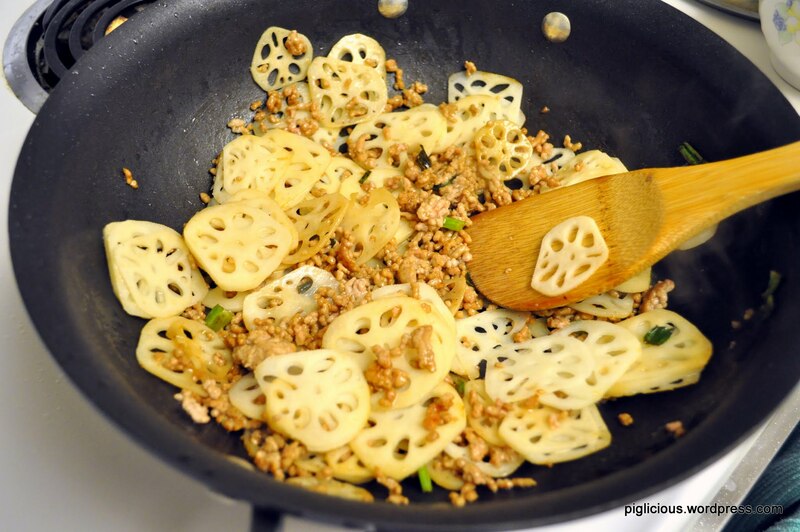 You could garnish it with cilantro/coriander. Wash the mushrooms (although they’re actually pretty clean looking already) and green onions. 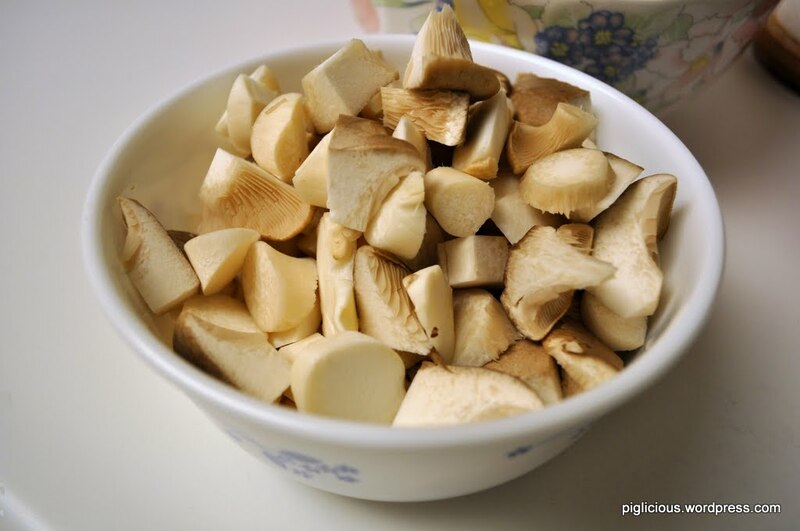 Slice the trumpet mushrooms into thin pieces. 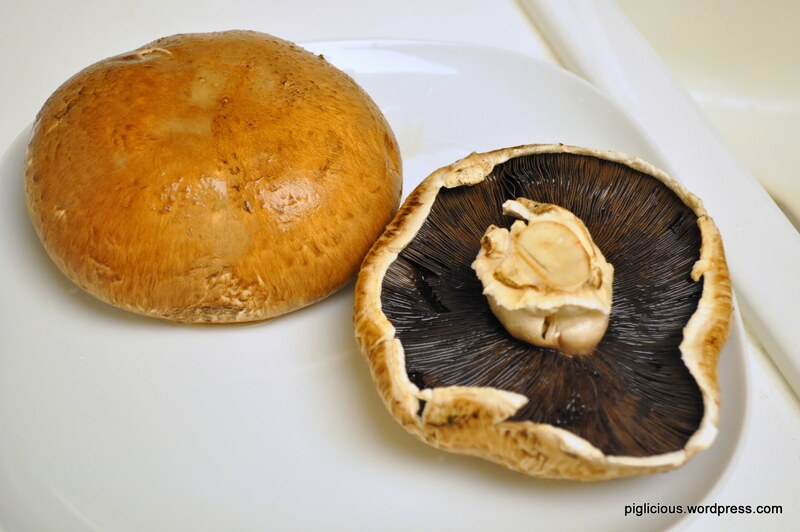 For the beech mushrooms, slice off the bottom portion (and throw away) and separate the mushrooms with your hands. Slice the green onion into wide pieces. 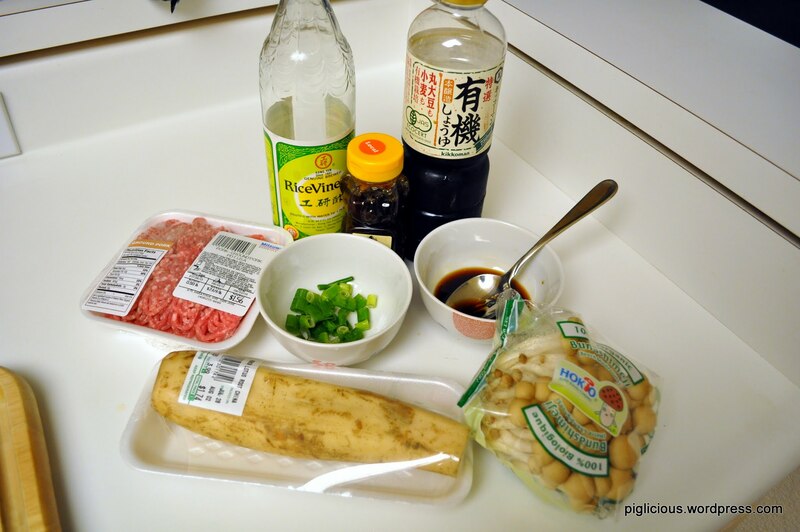 Mix the sugar, rice vinegar, and soy sauce together to make the sauce. 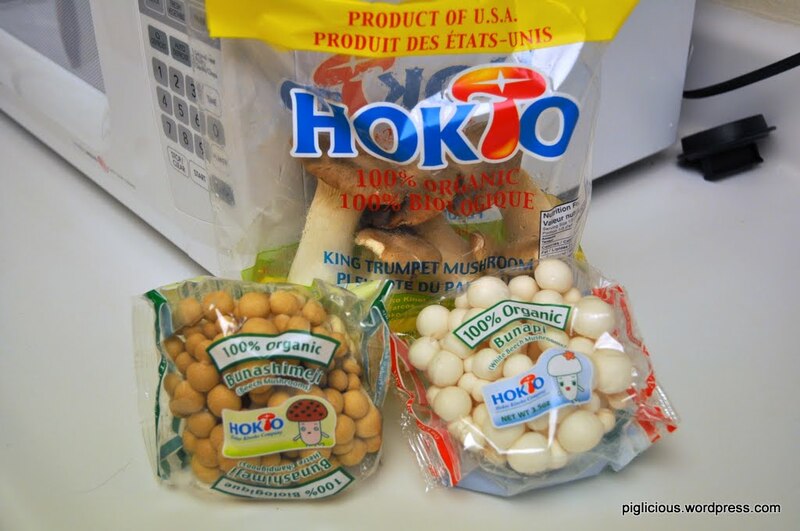 Mix the corn starch thoroughly with the water (for thickening. not pictured). Place the pan on stove and turn temperature to high. Pour in the oil when the pan is hot. 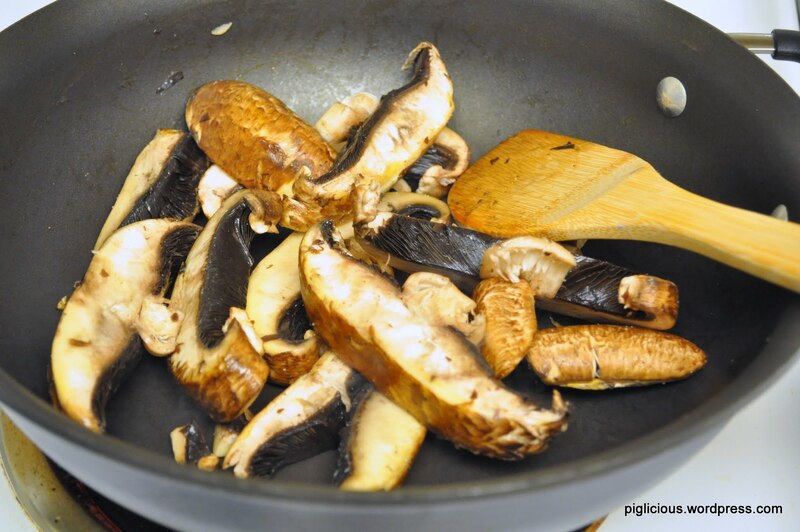 Once the oil is warm, place in all the cut and separated mushrooms. 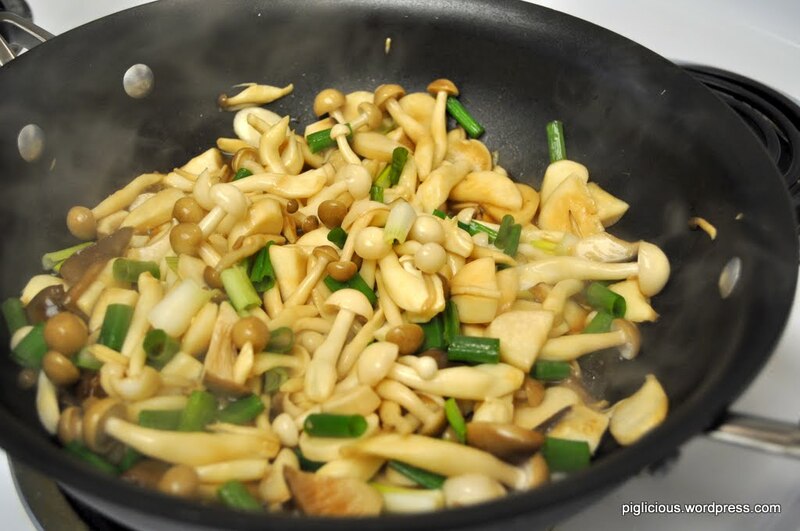 Stir fry the mushrooms for 1 min. 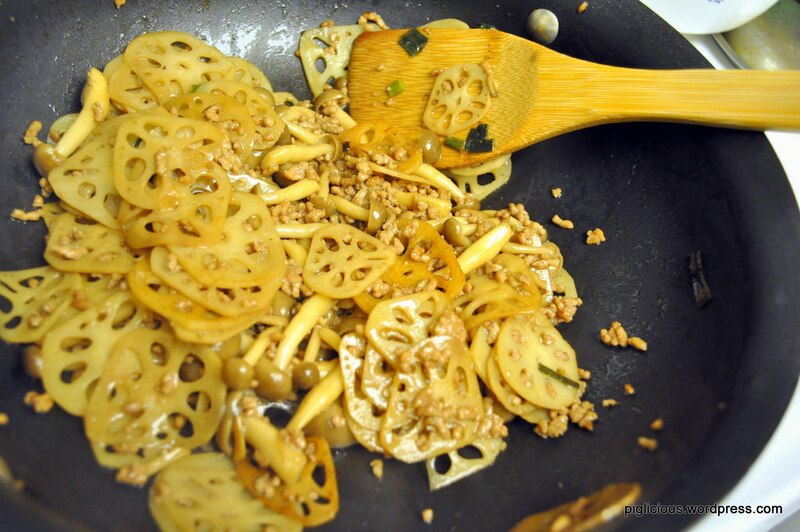 Add the green onions (and chili peppers, optional) and stir fry for 1 min. Add the sauce. 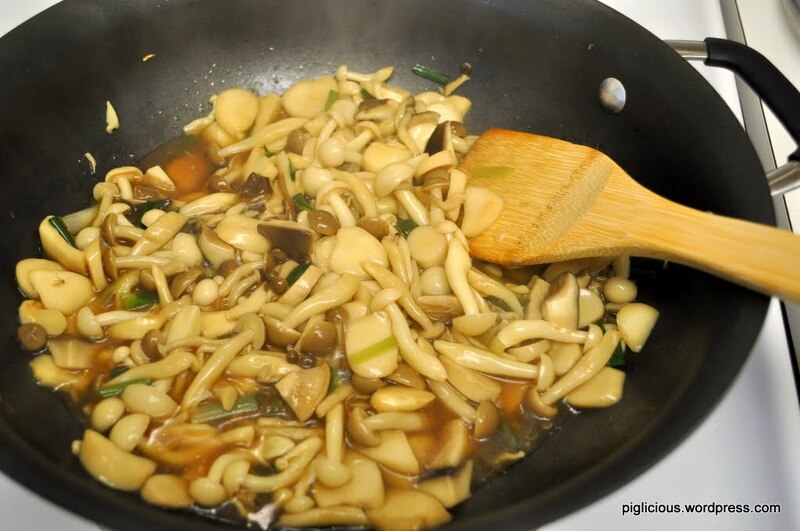 Stir and mix it evenly with the mushrooms. 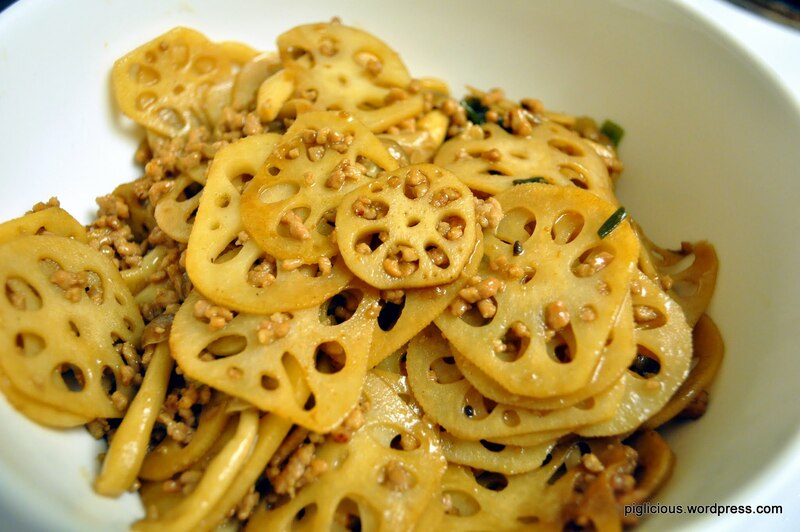 Let it cook for 3-5 mins, with in between stirrings. Turn the temperature down to medium low. Have the corn starch mix ready. 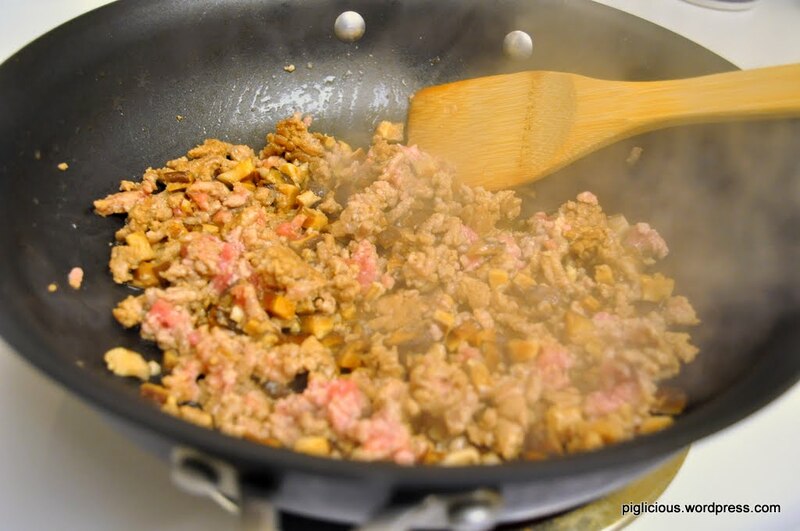 When the dish has simmered down a little more, add the mix all around and stir. (It is crucial to have it simmer down because the corn starch mix may become lumpy at high heat). Stir and cook on medium low for another 2 mins. 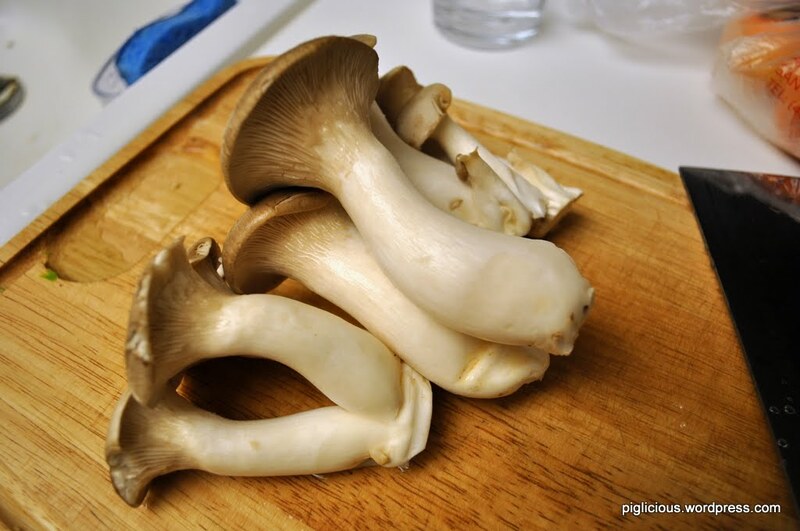 According to the site, they also cultivate Maitake mushrooms, but I have yet to find that one in the grocery stores near me. For dinner the other night, I decided to make salmon, vegetables, and an eggplant mushroom dish. All this surprisingly only took me 30 mins! And then I had leftovers for 3 more meals. Before you start anything in the kitchen, preheat the oven to 350F! 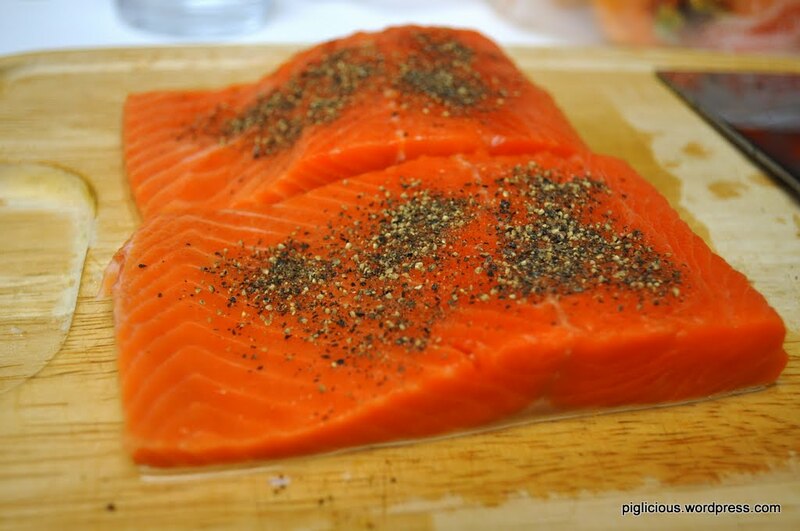 1) Wash the salmon fillets. Semi dry them. Rub two thin layers of salt on both pieces. Then rub on black pepper. 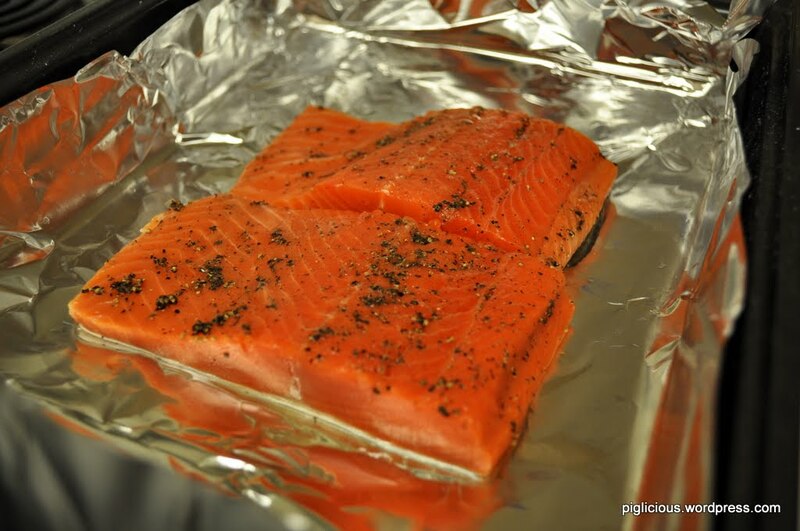 2) Place the salmon on foil in a baking pan. Add a small splash of vegetable oil. 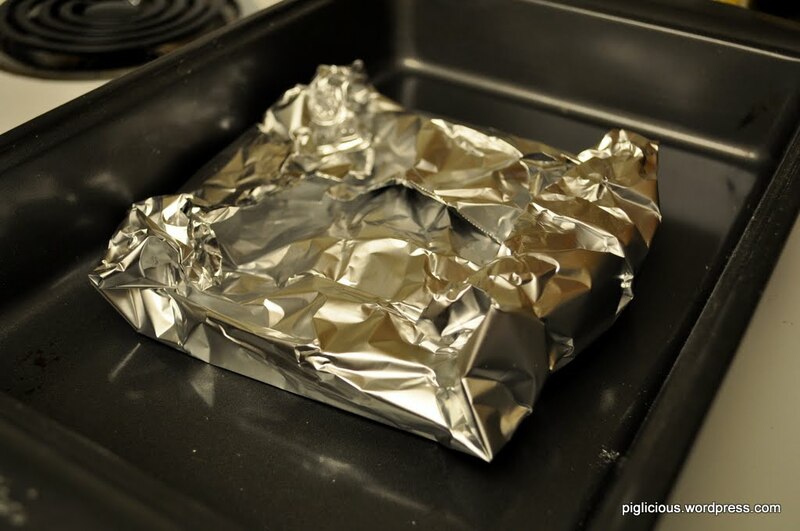 3) Wrap the foil over and completely cover both pieces. 4) Place in oven and bake for 25-30 minutes. 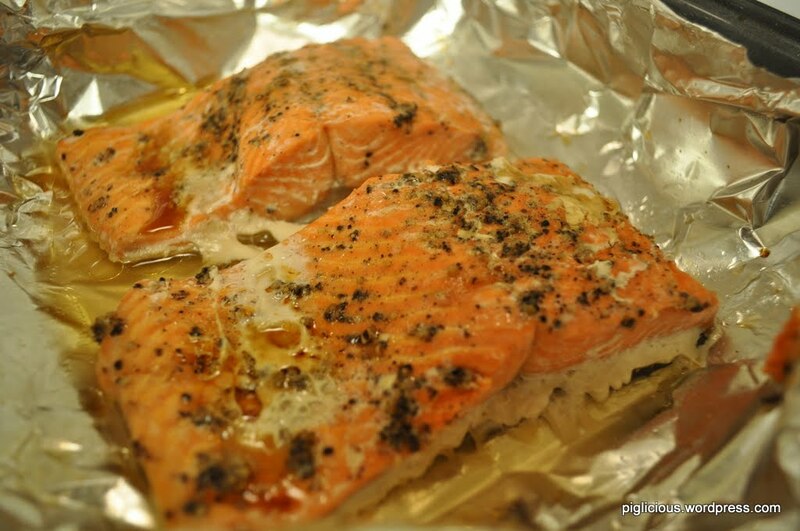 In the meantime, while the salmon is baking, make the other 2 dishes! 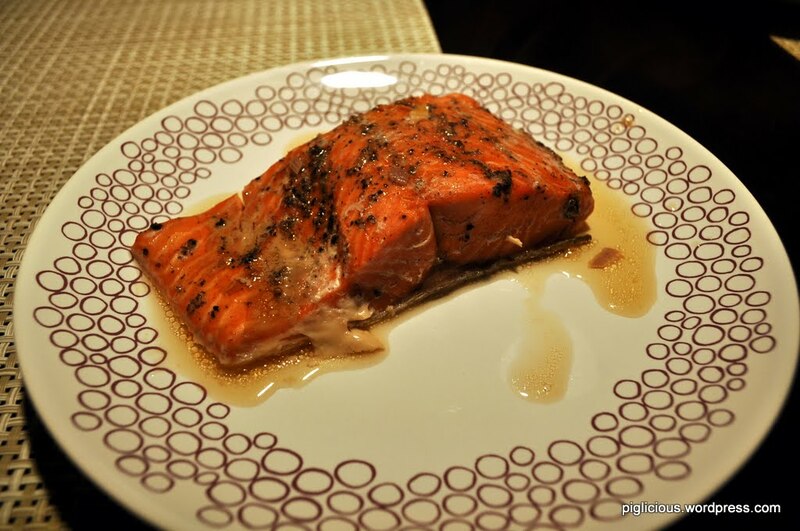 *After the salmon is done baking, you could add either soy sauce or squeeze some lemon juice over it. 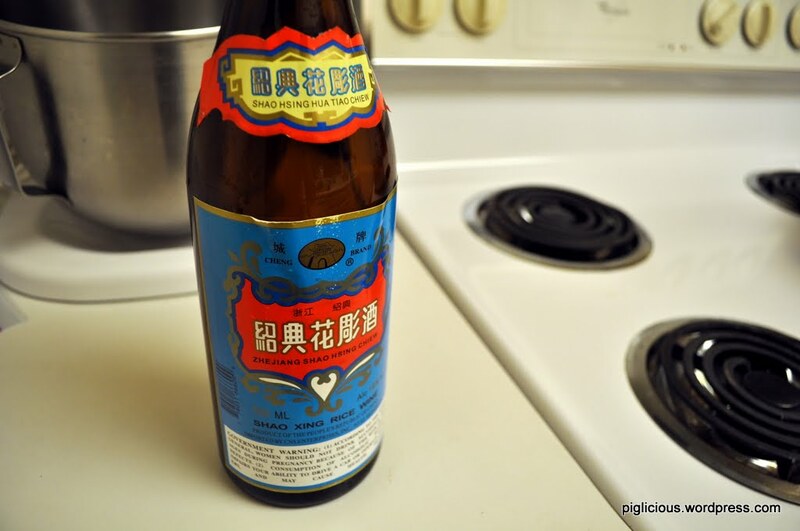 1/2 cup shiao hsing wine. 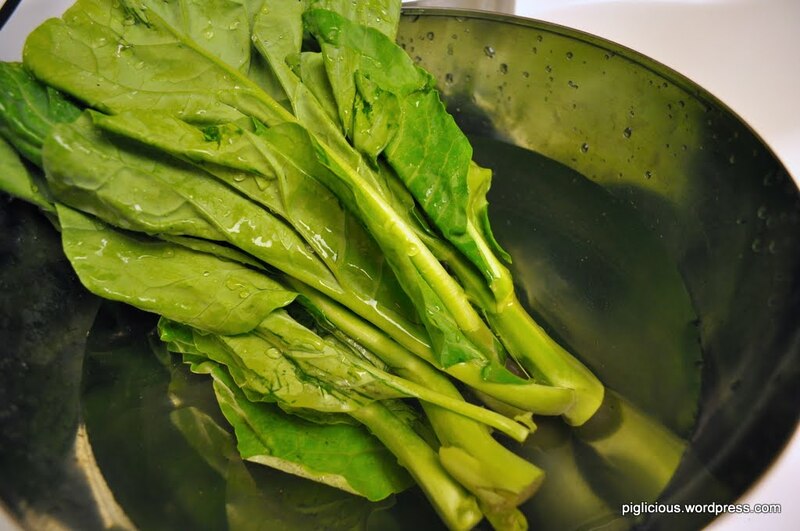 1) Wash and separate leaves from stems. 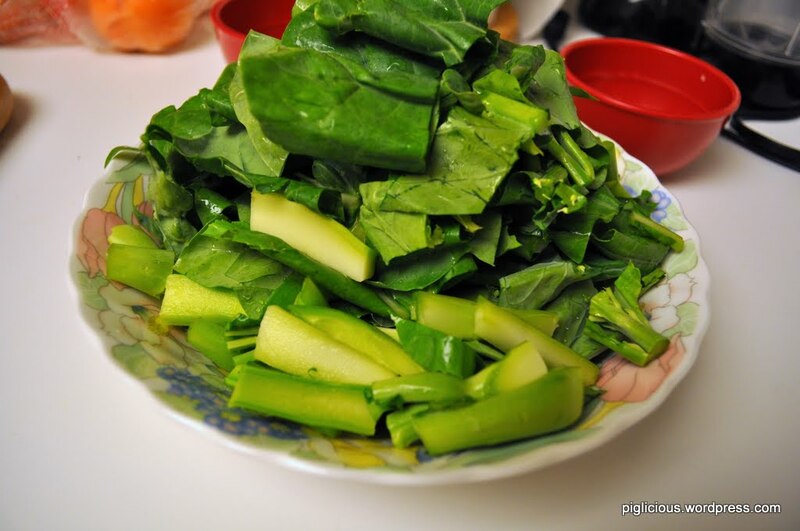 For the stalks portion, thinly slice off the outer layer (may be too fibrous). Then slice the stalk in half (or thirds, if stalk is pretty thick). 2) Place pot on stove and turn temperture to high. Once the pot is warm, add the oil. Once the oil is hot, add in the garlic. 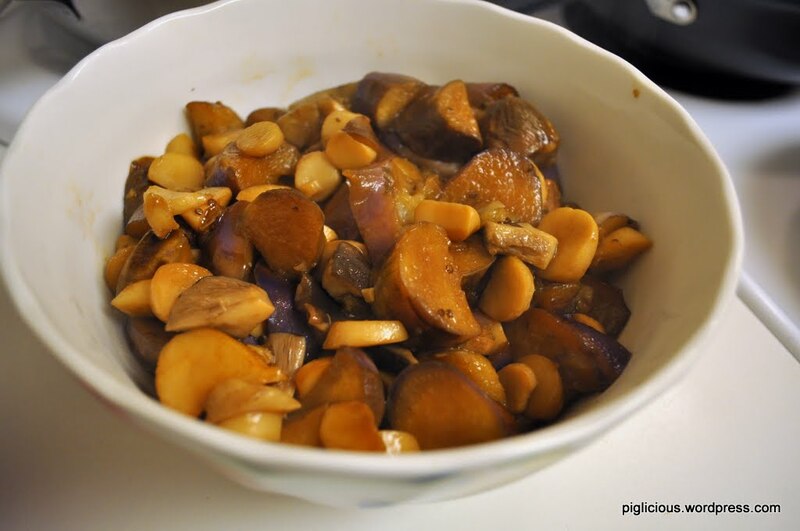 Stir fry the garlic until it is light brown. 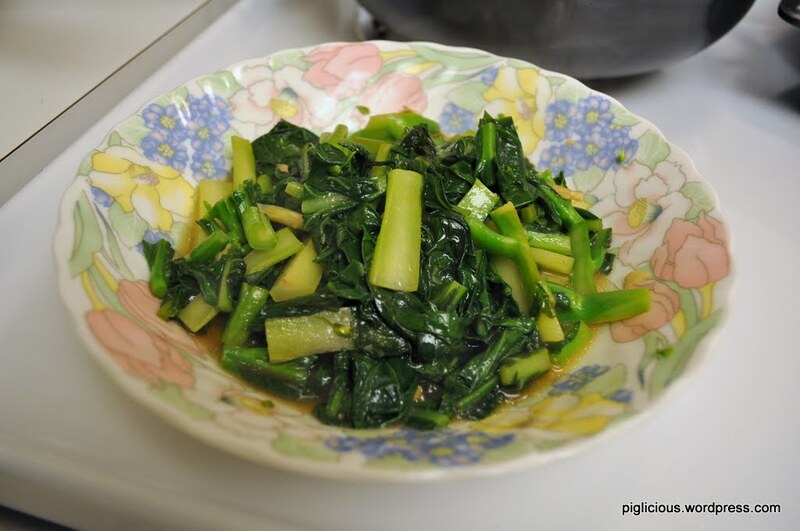 3) Add the chinese broccoli. 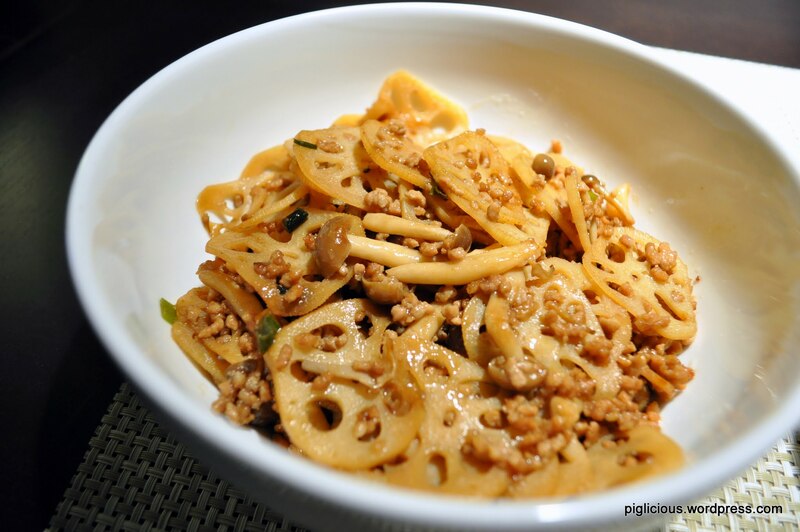 Quickly stir it around and add the shiao hsing wine. It will sizzle, so quickly cover the pot with a lid. 4) After 1 min, open lid and add a few dashes of salt. Stir for about 2-3 more minutes and it should be done. Remember that you can also try it to see if it is cooked to your liking. 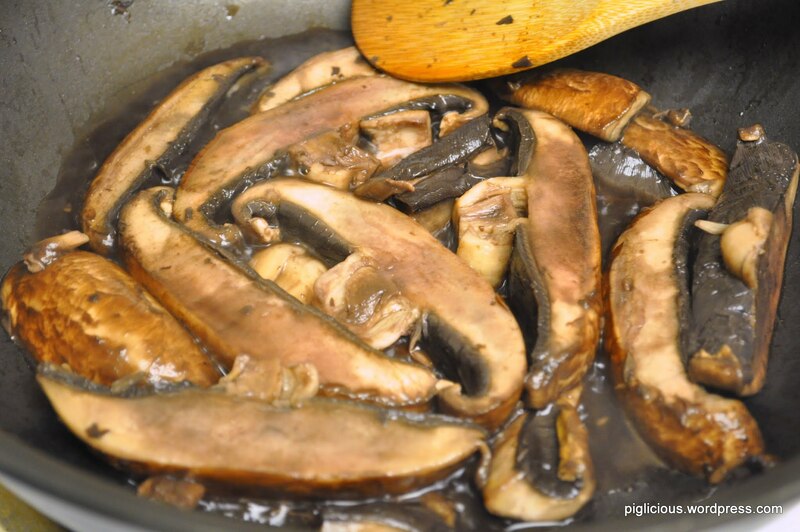 1) Wash the eggplants and mushrooms and slice them into small pieces. 2) Mix the sauce. 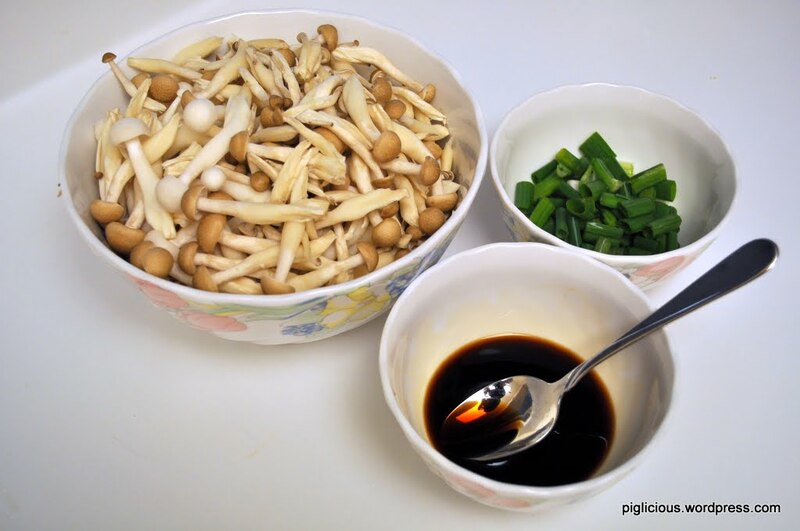 In a bowl, add the sugar, soy sauce, and rice vinegar. 3) Place pan on stove and turn the temperature to high. Once the pot is warm, add the oil. Once the oil is hot, add in the garlic. 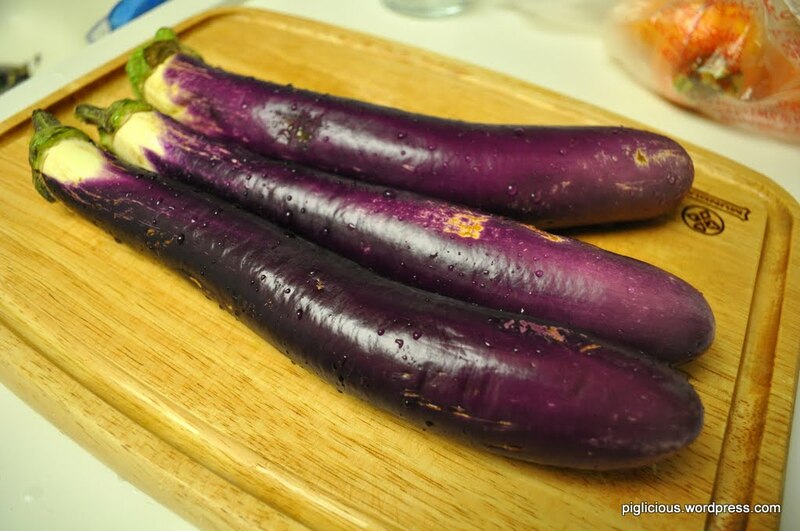 4) Add the eggplants. Stir fry for 30 secs. 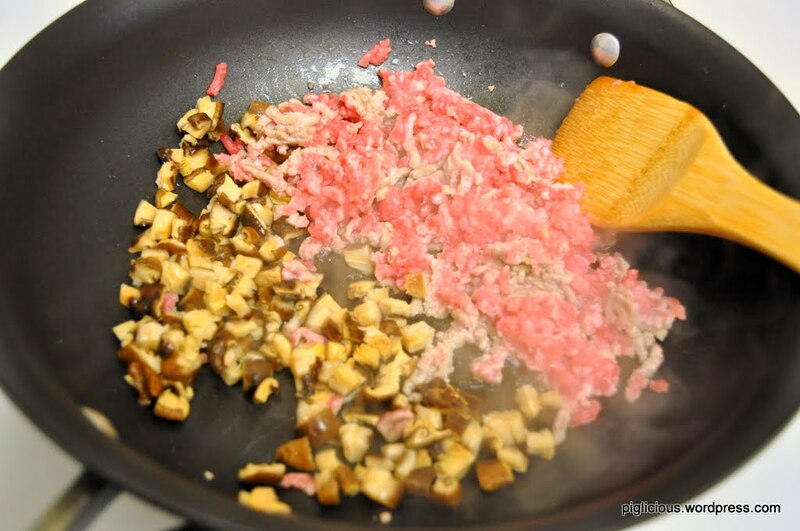 5) Add the mushrooms. 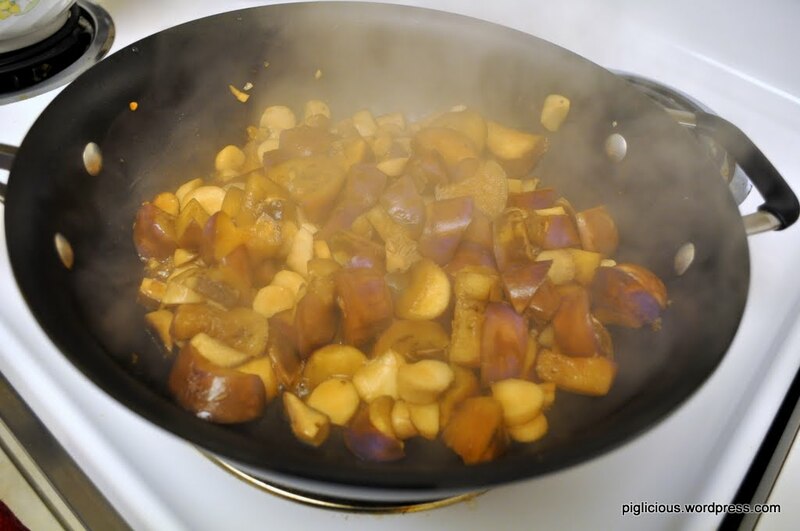 Stir for 1-2 minute or until all the oil is soaked up by the eggplants. 6) Add the sauce in and stir. 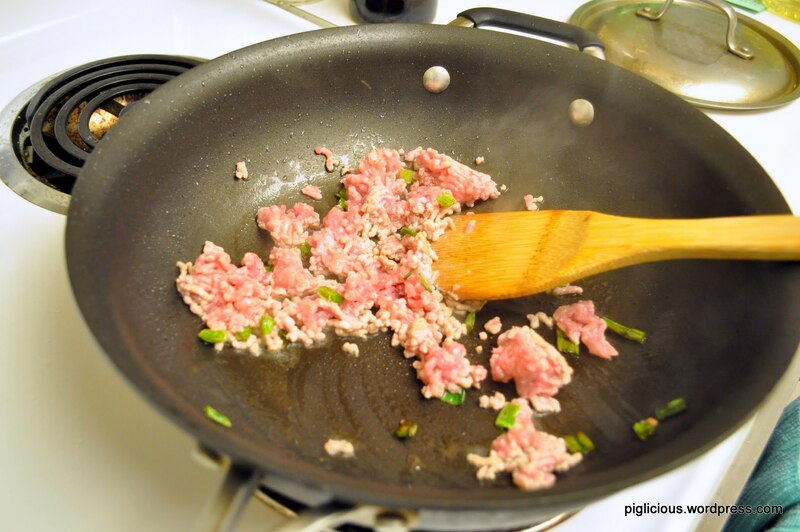 After the sauce has been evenly distributed, place the lid on the pan. 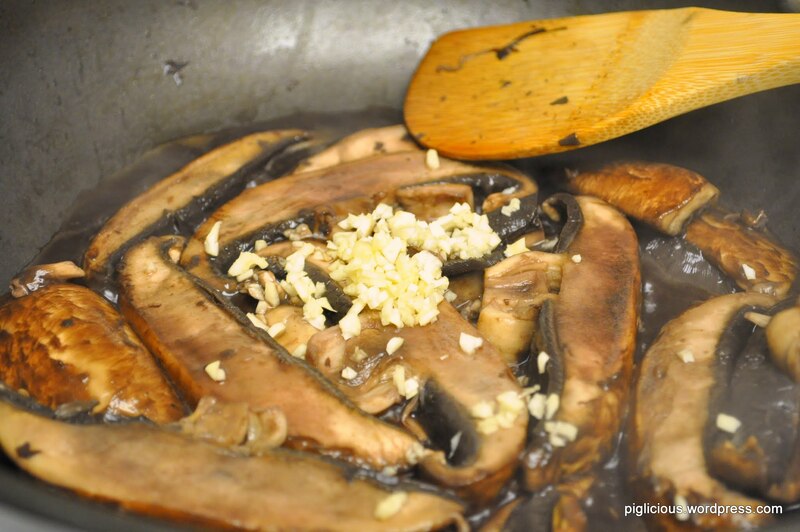 7) Open lid every 3 minutes to stir the contents around (don’t want the eggplant/mushroom at the bottom of the pan to get burnt). 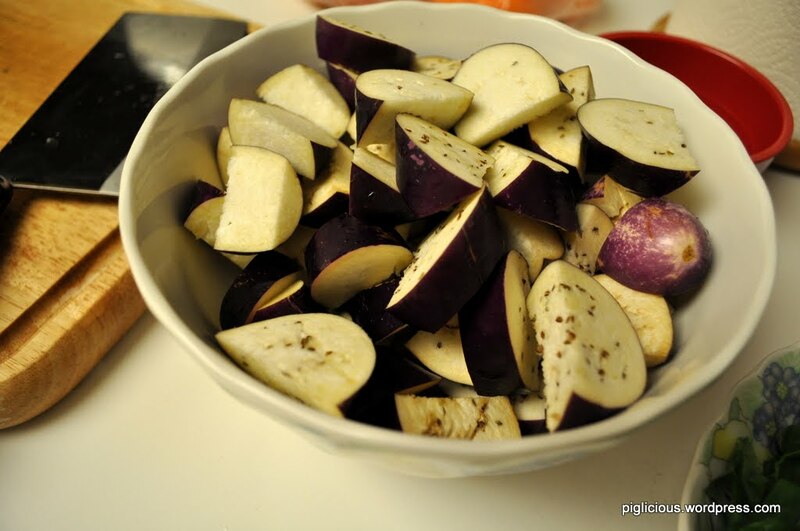 Repeat about 3 times or until the eggplant becomes soft and almost mushy.